Valentine's Day is here! February 14th is that special day of the year to show that exceptional loved one just how much you love them. 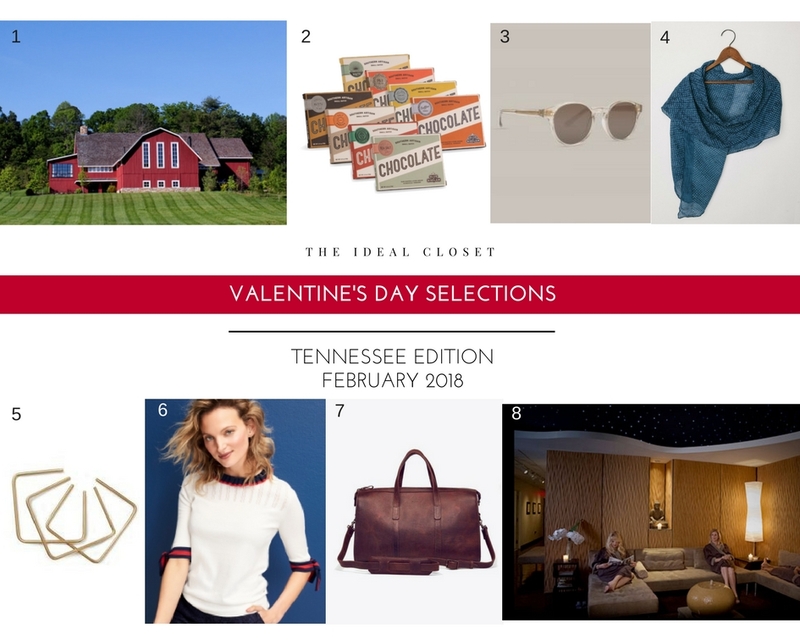 Here are some of my favorite gift ideas celebrating my love for all things Tennessee. Enjoy! 1) Blackberry Farm- Why not treat your loved one to a special weekend at this extraordinary retreat in the Great Smoky Mountains! Rooms start at $645/night. Visit http://www.blackberryfarm.com for more details. 8) Escape Day Spa Gift Card- Treat your loved one to a gift certificate for a relaxing massage, facial, manicure & more. Visit http://escapenashville.com to learn more about the services offered at this celebrated spa.